Pioneers in the industry, we offer poolside lounger, pool side sofa set, sun lounger, canteen steel furniture, rattan loungers and poolside bed from India. With utmost sincerity and hard work, we are engaged in offering best offering best array of Poolside Lounger. 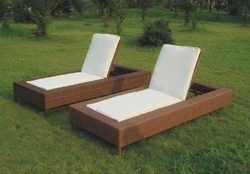 The offered array of loungers are poolside furniture and available in many specifications too. They are attractive and very smooth finish. Adding to all this, they are quality assured and cost effective in rates. 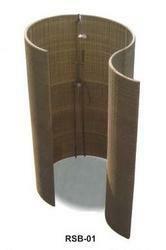 Poolside Furniture Set .MS frame powder coated & weaving of PVC rattan . As an esteemed company, we are engaged in providing the broad spectrum of Poolside Lounger. This poolside lounger is manufactured in compliance with the market standard utilizing the finest quality material and modular technology. The offered poolside lounger totally ensures about weather conditions & has a long life. While climbing on the success ladder, it has become increasingly important for us to deliver precisely tested and high grade assortment of Pool Side Lounger. The provided range is manufactured as per the set industry norms using quality approved raw materials. Keeping in mind the diverse requirements of our client. Outdoor Poolside Lounger is crafted from solid wood and coated with Italian outdoor Polyurethane Coatings that make it resistant to water and sunlight. The fabric used on the mattress is waterproof fabric. On special order, we use waterproof and UV resistant fabric from USA. The backrest can be inclined and the reclining mechanism is made of stainless steel and nylon, both are resistant to water and sunlight. our range is offered at the nominal price. 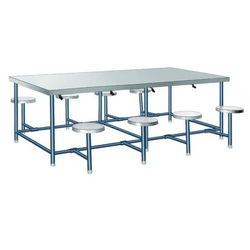 As an eminent enterprise, we are providing our clients with the superior quality Canteen Iron Furniture. This furniture is designed by our experts from the finest grade material & best techniques, at par with the market prevalent norms. Our offered furniture is used in places like cafeteria and restaurants. We provide this furniture in numerous customized options as per the demand of our customers. 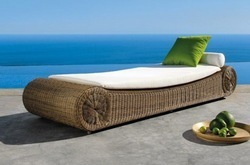 Being the market leader in this domain, we put endless efforts to provide only quality assured Pool Side Furniture. This poolside furniture is designed by our experts from the finest grade material & best techniques, at par with the market prevalent norms. Our offered poolside furniture is recognized among our customers, for its optimum quality and unique design. 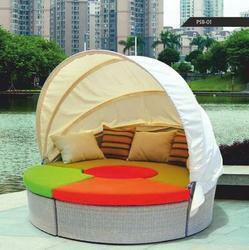 We provide this poolside furniture in numerous customized options as per the demand of our customers. Being the market leader of this domain, we put endless efforts to provide only quality assured Pool Side Furniture. This poolside furniture is designed by our experts from the finest grade material & best techniques, at par with the market prevalent norms. Our offered poolside furniture is recognized among our customers, for its optimum quality and unique design. 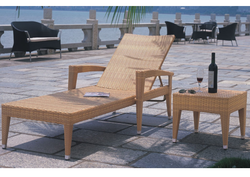 We provide this poolside furniture in numerous customized options as per the demand of our customers. 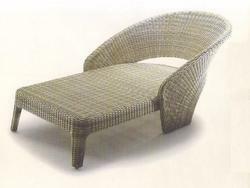 To meet the huge market demands, we are engaged in offering a broad range of Wicker Poolside Chairs. Our products are highly acclaimed amongst the clients for their sturdy nature. 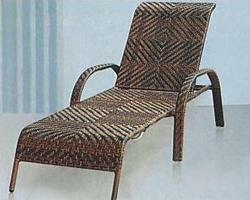 We offer Wicker Poolside Chairs for using in poolside and known for their attractive look. 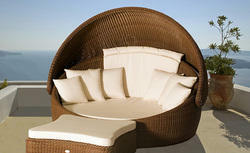 Moreover, the offered Wicker Poolside Chairs provide comfort. 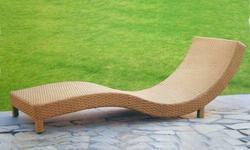 Being a quality-centric organization, we are offering a vast spectrum of Wooden Lounger. Known for its durability, economical and good life, our offered wood lounger is designed at using high-quality wood and latest technology in accordance with the market standards. Moreover, our offered wood lounger is available in customized options to attain maximum satisfactions for our customers. 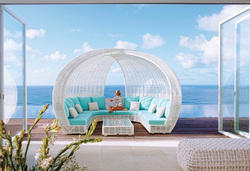 Poolside Wicker Furniture , MS frame powder coated & weaving of PVC rattan . Our organization has effectively expanded its business in the market owing to the presented elevated quality array of Luxurious Pool Furniture. 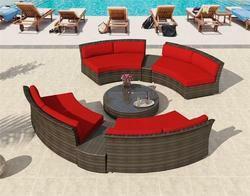 Our pool furniture is well known in the market for its excellent quality & eye catchy designs. This pool furniture is checked by our quality experts in order to supply the best quality range in the market. 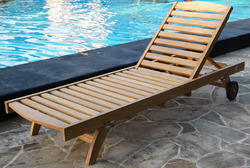 Also, offered pool furniture is provided in numerous customized designs so as to meet the needs of customers. 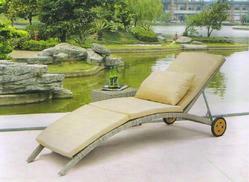 We are counted among the reckoned manufacturers, suppliers and traders of Outdoor Pool Side Lounger. The lounger we offer is designed and made by skilled professionals, keeping in mind the different preferences of our valued patrons. This product can be availed from us at industry leading prices and that in plethora of designs, patterns, colors and sizes. All our Outdoor Poolside Lounge furniture range is specifically manufactured for outdoor use. Love seats and sofas are 100% resistant to all kinds of weather conditions. Our living furniture can be left outside year round. 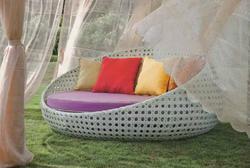 Outdoor sofa range feature high density polymer fibre materials for extreme durability and elegance. 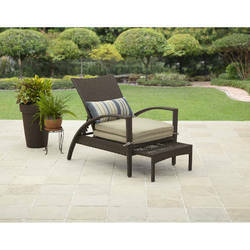 Choose from luxury patio sets and relax outdoors in luxury. Poolside Lounge Chairs .Ms Frame Powder Coated & Weaving of PVC Rattan . 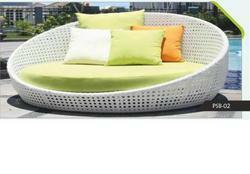 Poolside sofa Set , MS frame powder coated & weaving of PVC rattan .